Vredestein Wintrac Xtreme S is an ultra-high performance non-studdable winter tire for automobiles and SUVs. Wintrac Xtreme S, designed in collaboration with the Italian design agency Giugiaro, is a superior winter tire perfectly suited to the fastest and most luxurious vehicles. 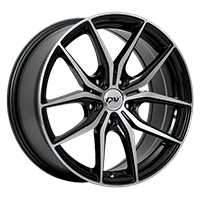 With its tread sculpture W and the special design of its side flank, this sporty tire has robust and dynamic lines that will appeal to high-performance vehicle drivers. The successor of the Wintrac Xtreme, the Vredestein Wintrac Xtreme S has been developed to cope with difficult and unpredictable winter conditions. Its excellent grip and outstanding steering precision give the Wintrac Xtreme S the assurance of safer driving in snow conditions, on wet and dry roads. Featuring the ISLT technology (Internal Locking Sip technology), the Vredestein Wintrac Xtreme S ensures excellent stability at high speeds, in the rain and on snowy roads. This technology has the effect of increasing the rigidity of the slats position when changing lanes or when cornering. These strips adhere under pressure, while the shoulders and the center of the tread form a solid block, which helps improve steering response, making it more sensitive and accurate. The outstanding traction of the Vredestein Wintrac Xtreme S is attributable to the high number of sips on the tread and the position of straight sips in the center for optimum traction and reduced braking distance on snow and ice, and of the zigzag sips in the shoulders for maneuverability that is peerless on slippery surfaces. In addition, the tread of the Wintrac Xtreme S has two extra wide circumferential grooves and V-grooves in the center to improve stability and provide efficient water evacuation for increased resistance to hydroplaning on wet surfaces. The Vredestein Wintrac Xtreme S has a unique composition of enriched polymer gum and optimized sealant. 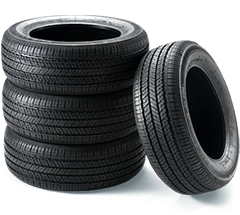 Coupled with a new generation of silanes, this rubber compound significantly enhances durability and provides excellent mileage performance, in addition to offeringdriving comfort and significant reduction in driving resistance, which means longer lifespan. 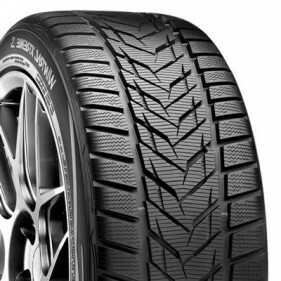 The Vredestein Wintrac Xtreme S winter tire complies with Quebec's Bill 42. The Vredestein Wintrac Xtreme S is ranked among the top 5 winter tires of the following category - Performance for SUVs, vans and pickups. According to PMCtire., the main forces of this tire are its towing capacity on wet and ice surfaces, road holding and stability. It is also very effective in snowy conditions and on dry surfaces. The Wintrac Xtreme S is a great choice for drivers seeking for safety and performance, even in extreme conditions.